Mass battery chargers sine wave inverters and DC-DC converters are designed for the toughest conditions for professional semi-professional and recreational purposes. Even under the most extreme conditions the products from the Mass series operate faultlessly giving you round-the-clock output when necessary. The sustainability and technologies that underpin the Mass concept have long been proven in practice. With an MTBF of 280000 hours at full capacity and 24/7 use the Mass products are ideal for the toughest tasks and any situation that requires a reliable power supply. You can always rely on their proven and technically advanced components. 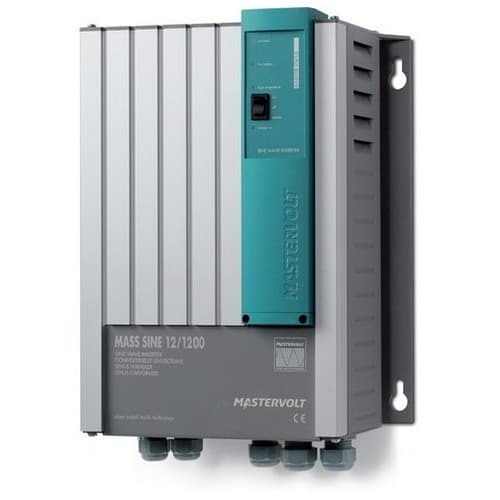 The reliability and long lifespan of Mastervolt s battery chargers sine wave inverters and DC-DC converters have been established beyond doubt over the past decade. While the Mass products have evolved with the latest technological developments the dimensions and connections have remained the same. As a result it is exceptionally easy to replace one unit with another with only negligible downtime. Faster charging of batteries even with when the input current is limited.